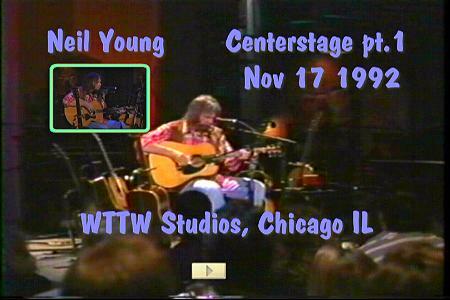 Comments: Excellent, well done DVD set of Neil Young's complete performance at WTTW Studios in Chicago, Ill. on November 17, 1992. Great quality on a 2-DVD set. 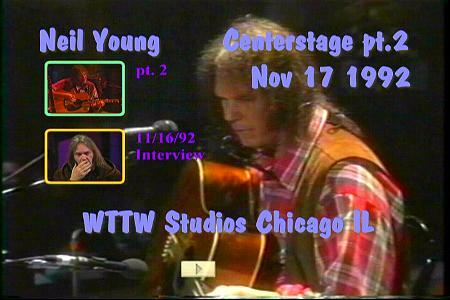 The second disc includes a relaxed interview with Neil recorded the day earlier, hosted by Tim Roth, a.k.a. "Pumpkin" from 1994's "Pulp Fiction". If you listen carefully, you'll find that Tim does not ever - not even once - call Neil "Honey Bunney". What a lost opportunity!